During red team post exploitation I sometimes run into jump boxes leading to test environments, production servers, DMZs, or other organizational branches. As these systems are designed to act as couriers of outbound traffic, hijacking SSH sessions belonging to other users can be useful. So what do you do when you have full control over a jump box and want to leverage another user's outbound SSH access to tunnel into another segment? What if you don't have passwords, keys, shouldn't drop binaries, and SSH is protected by 2-factor authentication? Roll up your sleeves and trust your command line Kung Fu! 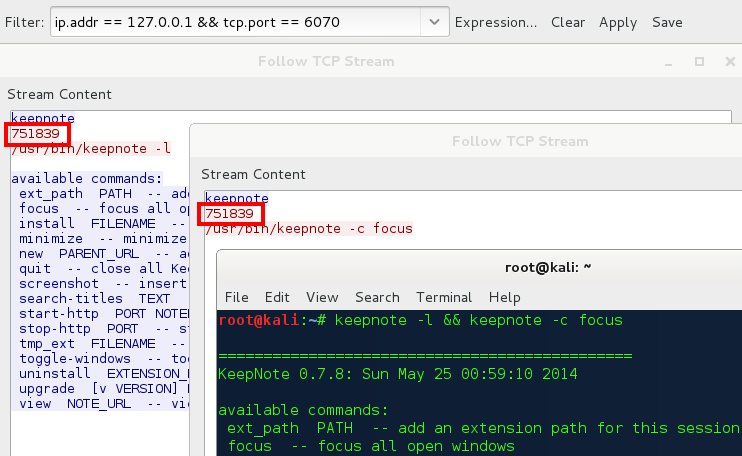 This post will cover two approaches to hijacking SSH sessions, without credentials, with the goal inserting dynamic port forwards on the fly. The two stages at which I'll approach hijacking sessions are: (1) upon session creation, and (2) when a live SSH session exists inside of screen (more common than you'd think). In each case our final goal is to create a tunnel inside another user's active session in order to gain access to outbound routes on the terminating SSHD host. 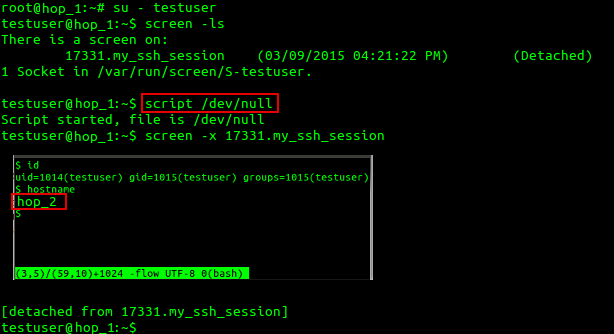 To hijack newly created SSH sessions we can leverage a feature known as SSH multiplexing. This feature allows for the creation of control sockets that enable an attacker to create their own sessions inside the original user' socket, without re-authentication. 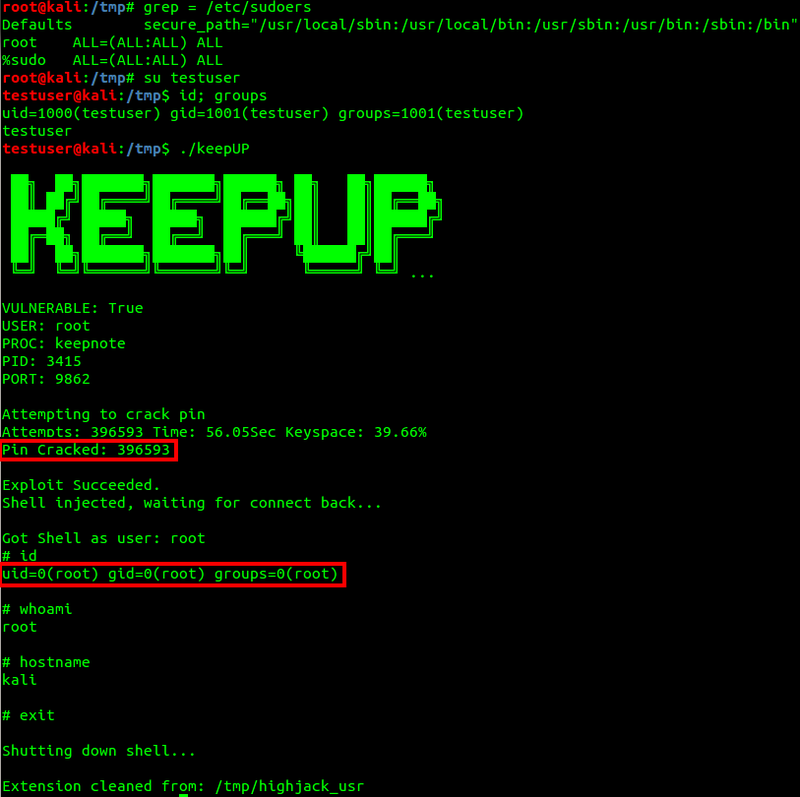 The ControlMaster feature was introduced in OpenSSH 4, and has was previously referenced in H D Moore and Val Smith's Tactical Exploitation presentation. I also demonstrated the attack in a talk/class of mine entitled, The Poor Man's Rootkit. In this post I will show two means to force the creation of master sockets, and then how to inject port forwards into them. The most common way to deploy ControlMaster sockets is by altering the system wide SSH client config. These settings will cause all new SSH sessions to create a persistent brokering master socket. I've used %h in control socket commands to represent the target host, %h can be any char(s). This socket can be used to create further sessions, without credentials, even after the original user exits their session. Creating a session using a master socket. Remember our end goal is to pivot into other network segments. The following command will create a dynamic tunnel inside an existing master socket. Simply exiting the multiplexed sessions will not close the master socket. In order to close the socket you must explicitly send an exit request. Another way to leverage this hijacking technique, that I haven't seen shared before, is by abusing the fact that master sockets may be created through SSH client option flags. As such, we can use a shell function to intercept a user's SSH client commands and inject our own ControlMaster arguments. A simple ControlMaster injecting wrapper function. This intercepting wrapper function will create sockets identical to those we created using ssh_config. Using SSH ControlMaster sockets and socket options we can now hijack SSH sessions and inject port forwards, all without authentication. It is not uncommon for users to create screen sessions to house SSH connections to other boxes they are working on. What most users do not realize is that these session can be hijacked and have port forwards injected into them on the fly. One way to find screen sessions is to look under /var/run/screen. Or you can enumerate a single user by issuing an incomplete screen -r command. Accessing the screen sessions of another user is not as straight forward su'ing and viewing; this is where many attackers give up. su to a user to interact with their screen session and you will find yourself staring at one of the following errors: "Cannot open your terminal '/dev/pts/#' - please check." or "Must be connected to a terminal." 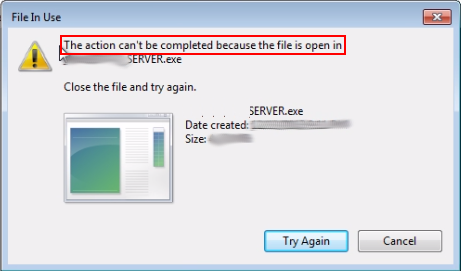 One way to bypass this restriction is to use the script binary to wrap the su'd user session. If you are using SSH for your primary shell the above example will not work from inside screen.This is due to the fact that your own outermost SSH client will catch the escape characters. Not to worry, I'll show you a way around that! Screen has a feature that allows you to "Stuff" the contents of a buffer into its input queue. The stuffed text is parsed as if it had been typed from inside screen, allowing us to bypass escape characters being caught by outer SSH sessions. A note on stealthy stuffing: Stuff'd text is visible inside a screen session's scroll back. You can prevent this by altering the scroll back length on the fly. This can be done by changing the scrollback to 0 lines before your command, clearing the screen, then setting it back. Flow of traffic in Screen Hijack attack. Thanks to SSH escapes and screen stuffing we now have a means to hijack established sessions and inject tunnels on the fly! The final step is to bind a local port on our machine to connect us to the tunnel we injected on hop_1. We now have a full dynamic tunnel into the remote segment, without authentication. Local port forward on attacker machine via SSH escapes. Tunneling through another user's session without credentials should have the following impact on your target.